In an enterprise network, any device connecting remotely to the network has the potential to be a possible entry point for security threats; so there arises an essential need for securing various endpoints to address risks presented by remote devices. Those devices include servers, laptops, smartphones, tablets, desktop PCs and other IoT devices. This process of securing endpoints in an enterprise network is called Endpoint Security or Endpoint Protection. Why Security Strategy Demands Endpoint Security? Owing to the growing trend of (BYOD) Bring Your Own Device, any location and any network flexibility; enterprise data has become more vulnerable to cybercriminals in the recent years. No wonder, the newly arising challenges are a bottleneck for network administrators. Substantially, the need for endpoint security is becoming increasingly important to adequately block illegal access attempts, threats, and malware at endpoints. With the increasing number of endpoint devices trying to connect to the corporate network, the security perimeter is no longer definable and the centralized security solution is too insufficient to meet the greater security needs. Endpoint security successfully replaces centralized security measures with its effective endpoint protection features. In the corporate network security protocol, it becomes mandatory for all endpoint devices to meet the set security standards before being permitted to access the network. By doing so, corporates will be able to control and manage the growing number of end-user access points. Besides that, corporates will also be equipped with the right set of tools to monitor and evade malicious activities. Endpoint security perfectly secures an entire enterprise network. Endpoint security is reliable, effective, quick to react and smart enough to protect information from all sorts of threats that are known and unknown. Their design is ever-ready to evade unauthorized access, downloading or uploading of data and instantaneously blocks all malicious activity. Anti-virus software best-fits the PCs, its personal firewalls are basics of the hybrid endpoint protection solution offerings. The features and functionalities of endpoint security target and work on more advanced methodologies and technologies. 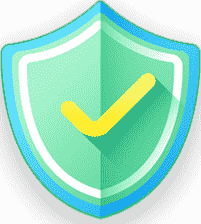 The notable features of endpoint security are data loss prevention, insider threat protection, application whitelisting or control, network access control, data classification, endpoint detection and response and privileged user control. According to TechRepublic, endpoint security is available for both consumers and enterprise networks; however the configurations differ in each-other. In the consumer Endpoint Security model, application and signature are accessed from developers’ control servers delivered through the internet and there’s no centralized administration and management. In the corporate/enterprise model, the centralized administration is present. The interface is centralized and entries from various endpoints are directed to the central server for evaluation and analysis. After downloading of application and signature, updates are sent out to endpoint devices within the network by the central server. The two critical endpoint security components are application control and endpoint encryption. These two act as the endpoint protection layers preventing from all kinds of data leaks. Basically, the potential entry point for threats is through the end user devices, endpoint encryption encrypts the data on endpoints which include laptops, smartphones, tablets, desktop PCs and other storage devices such as CDs and USBs alongside the individual files and folders. With Application control, organizations can prevent the execution of unauthorized applications on endpoints. 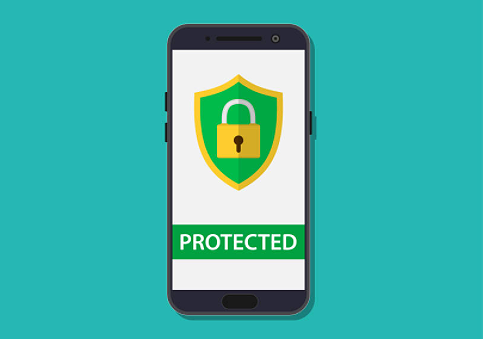 On the other hand, employees will be prohibited from downloading unauthenticated data or applications that prove to be hazardous on mobile devices, which can invite network threats and lead to unauthorized access in the network. A keylogger is a software or hardware device designed to secretly track the keystrokes. However, a keylogger as a software is more common and is preferred to keylogging device as a hardware. Considering the importance of information security, users should be aware that there are two forms of keyloggers – software and hardware. keyloggers are also used to serve legitimate purposes that include parental control, company security, and more reasons to add. Though keylogging programs are developed for legitimate intentions, they can very well be used with malicious or criminal intent. In fact, they are primarily used to steal user data. Furthermore, many keyloggers have rootkit functionality to hide in the system and escape users’ attention. Comodo Antivirus lab has a dedicated system to identify the keylogging functionality of malware. Some of the keyloggers are Trojan-Spy programs, Trojan-Spy that works to track users’ activities and information, save the information to the hard disk and forward to the malware author. The extracted information would be screenshots and keystrokes which are most often used in stealing banking data. Keyloggers do not pose a threat to the user’s system, however, they do pose a serious threat to users and users’ data. Keyloggers work to extract passwords and login credentials and also confidential information entered through the keyboard. As a result, malware authors can get PIN codes and account numbers, passwords to online shopping sites, email addresses, email logins and passwords, etc. When the cyber-criminals get a hold of sensitive data, they can exploit the extracted data to transfer the money from the user’s account. Keyloggers can sometimes be used for both political and industrial espionage to access proprietary commercial data and government material, thereby compromising both the commercial and state-owned company’s data. The working strategy of any keylogger is to get into the event when the key is pressed and when the information about the keystroke is displayed on the monitor. Keylogging software – this is a software application developed by malicious programmers to track keystrokes and simultaneously log them. When a file is introduced on a P2P network, from an open-access directory, a keylogger can be installed. A keylogger can be installed in the victim’s machine through an existing malicious program in the victim’s system. Most of the Information security companies have updated their security products with the latest malware definitions including the prominent keyloggers. So, be sure that your antivirus includes the latest up-to-date malware definition. 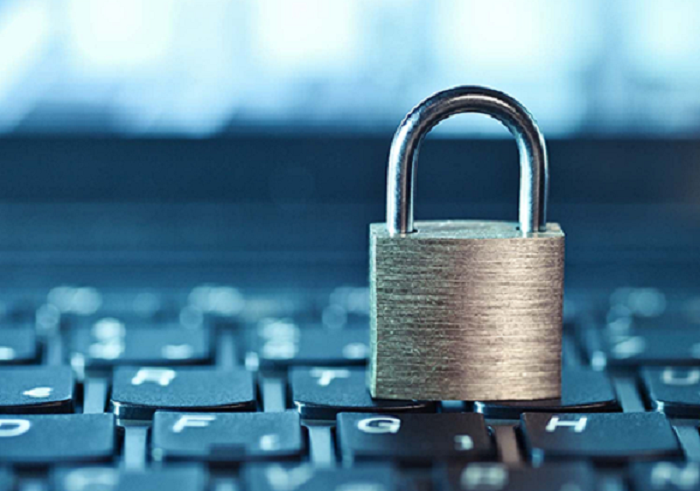 It is advisable to stay vigilant with a proactive internet security system. 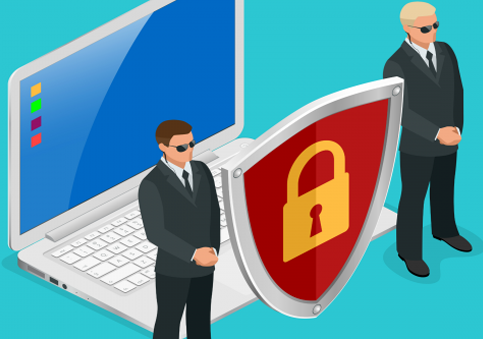 Comodo Antivirus works best with proactive protection features like a Default Deny System, Containment technology and Sandboxing battle against even the most threatening keylogging activities. As breaches and hacks consistently rise in prevalence, cyber-security is no longer an option – it’s an absolute necessity. There’s a notion among many companies that what has occurred to a countless amount of big-name (and other) companies somehow will never happen to them. Truth is: no company is exempt from the advanced threats and breaches that plague the internet today. So, the question remains: what’s the best possible solution? With any issue, it’s imperative to address the root of the problem in order to effectively provide a solution. 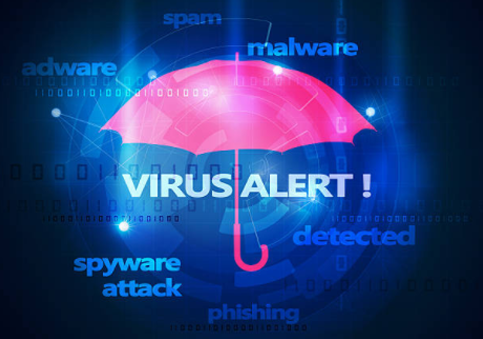 There are 1 million new viruses created every day, only further increasing the possibility of threats lurking on your endpoints. In addition to having unique visibility into the Dark Web by leveraging 85+ million endpoints and also providing 45 second file verdicts 95% of the time – Comodo has some of the most innovative security solutions, designed to combat the advanced threats we unearth daily. From this visibility, we know that being proactive rather than reactive is the only way to guarantee protection against sophisticated vectors. Comodo’s Forensic Analysis Tool is a FREE and comprehensive solution that detects all types of malware to provide you with visibility into the current threats on your endpoints, which can ultimately result in your critical data being compromised. Comodo’s ongoing mission is ‘Creating Trust Online’. With dedication to that mission, we’ve created the Forensic Analysis Tool that serves the purpose of keeping the internet and your endpoints malware-free. The first step to protection is detection. And in order to detect all malware, both known and unknown, you must have the appropriate tool for a proactive security-solution. Our Forensic Analysis Tool possesses all the necessary features to keep your endpoints secure and to find out what unknown malware is hiding on your network and endpoints – all in as little as 15 minutes. Designed with your business in mind, the Comodo Forensic Analysis Tool is a lightweight, easy-to-use scanner which identifies unknown and potentially malicious files residing on your network. All audited files are then classified as safe, malicious, or unknown through the tool and Valkyrie, our cloud-based file analysis, where they will be tested to determine whether they are harmful or not. You can view a report of these tests in the CFA interface, which displays results of the files analyzed by both Forensic Analysis and Valkyrie analysis. You can also opt to have detailed scan reports sent to your email. Active Directory: Suitable for a corporate environment where a large number of endpoints need to be scanned within a network. Workgroup: Allows you to add computers that belong to a work group. Network Address: Specify target endpoints by host name, IP address or IP range. This Computer: Allows you to run a scan on your local device. Once our Valkyrie analysis platform has found verdicts for both known and unknown files, your results will be automatically shown in the Forensic Analysis Tool’s interface. Scan results are listed for each computer by name with their detected files; and each row has a quick summary of the scan results, including total files scanned and how many were malicious or unknown. Administrators can view the infected files, malicious files, the files that are in analysis, and unknown files all in the CFA interface. Executive Valkyrie Report: A summary of scan results which provides details such as when the scan was started and finished, number of devices scanned, and so on. Device Valkyrie Report: The ‘Per Device Report’ shows the trust rating of files on each device scanned. It includes details of malicious items found on each device, unknown files found, files that are still in-analysis and the path of files. Program Valkyrie Report: The ‘Per Program Report’ shows the footprint of each file analyzed by Valkyrie. This includes details of each malicious/unknown file found, the devices on which they were found, the path of the files and more. Title Bar: Displays the scanning progress. Menu Bar: Contains controls for using the application. Reports: Allows administrators to view reports generated by Valkyrie. Help: The ‘About’ menu contains troubleshooting advice and shows product and version information. Search: Allows administrators to search for listed endpoints by name. Main Display Area: Displays details of scanned endpoints and the results from Valkyrie. Also contains the controls for scanning and for launching local or custom scans. Scan Now – Scan endpoints on your local network to identify unknown files. Custom Scan – Allows you to scan endpoints in a Workgroup, Active Directory, or Network Addresses. You can also scan your local computer. Email Form Area: Enter your email address after the Valkyrie analysis is complete to receive a detailed scan report. You can gain all of the features and benefits of our Forensic Analysis tool at no cost, as part of our pledge to create trust online by simply giving you visibility into the threats against the endpoints that hold your most valuable assets. It is estimated that traditional antivirus software can only catch 40% of all malware in the world today. The other 60% are “unknown”. But with the backing of our Valkyrie cloud-based engine and our unique visibility, Comodo’s Forensic Analysis Tool detects all unknown files. 1 out of every 3 devices we’ve scanned with our Forensic Analysis Tool result in malware or unknown file types found. Be 100% sure that yours isn’t one of them by starting with a malware discovery using Comodo Forensic Analysis Tool.